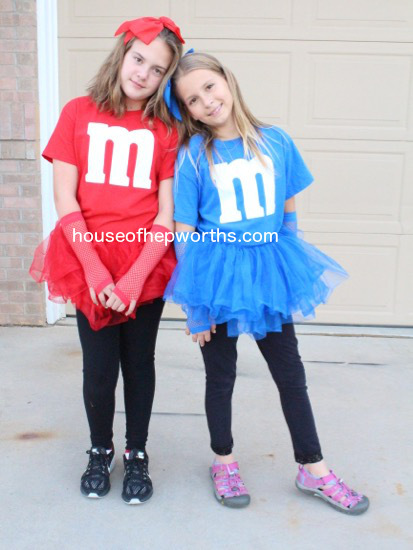 For Halloween this year my daughter and her friend want to be “matching cute M&M girls”. 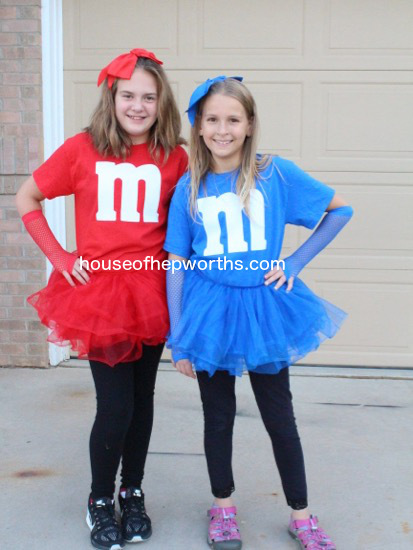 They had it all worked out in their minds, all I had to do was take them to the costume store to buy some accessories and then make M&M shirts using my Silhouette Cameo. 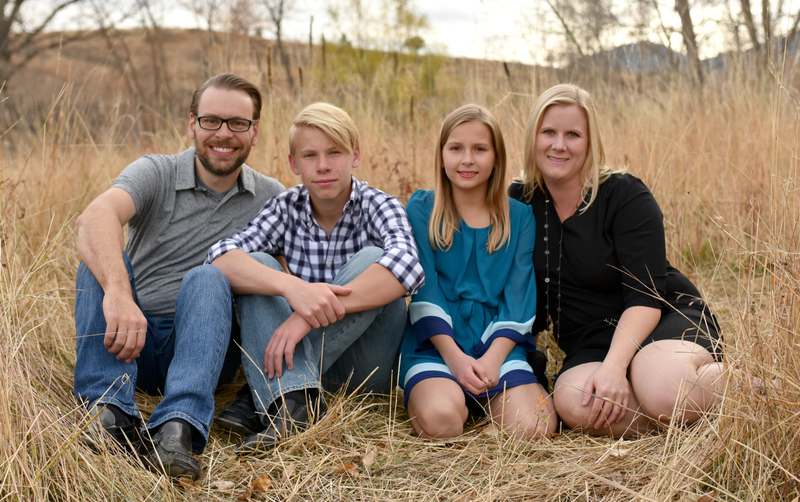 I think they turned out pretty darn cute if you ask me! Hair bow, fish net gloves, tulle tutu, t-shirt. They paired the entire outfit with some black leggings. 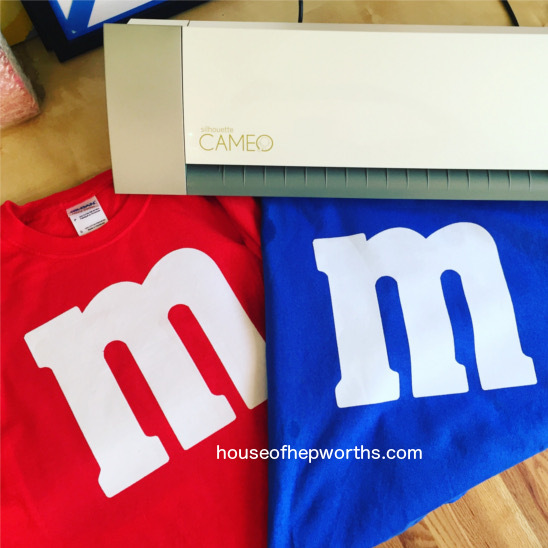 To make the shirts I dusted off my Silhouette Cameo, found the M&M logo on google, imported it to my Silhouette software, cut it out on some flocked heat transfer material, and ironed it right onto the pre-washed t-shirts. 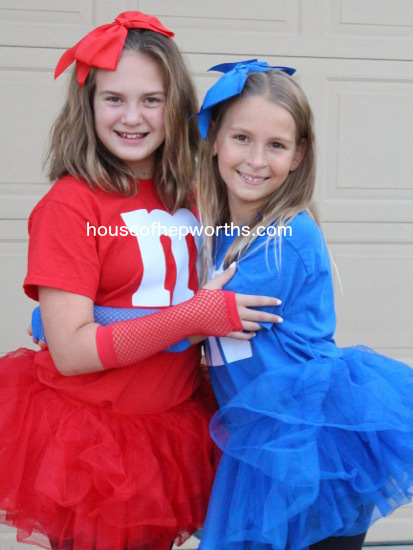 I think these two are going to be the cutest Trick-or-Treaters on the block this year!